Transistor is a bit of a mystery. It’s the next game from Bastion creators Supergiant and I have a soft spot for Bastion; not only did it supply the best announcer for Dota 2 but the game itself was the first one I reviewed on this blog proper and it was pretty excellent. 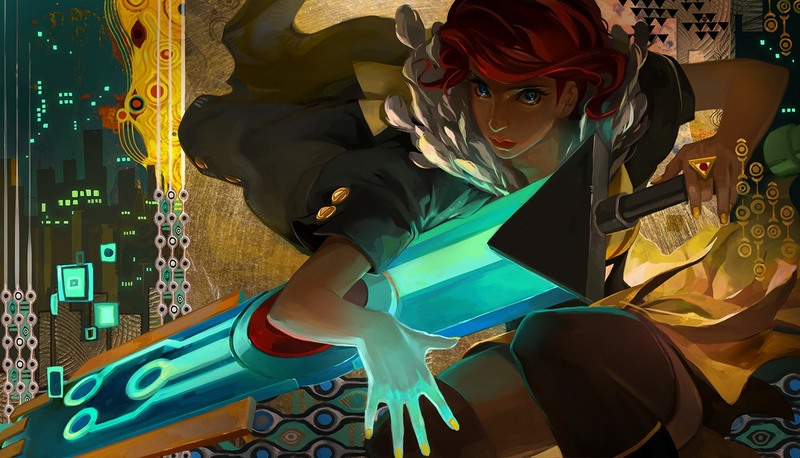 Transistor looks like it’ll be a riff on the same concept, with a painterly isometric visual style and a talking sword voiced by Bastion’s narrator, but that’s practically all the information about the game that’s leaked out. Still, while Supergiant are playing their cards rather close to their chest on this one Bastion gives them enough credit with me that I’ll happily wait to see what they do with Transistor. Should be very worth it. Project Eternity! Sorry, Pillars of Eternity now, although it’s going to be a while before I stop referring to it as Project Eternity. I’m enjoying Obsidian’s backer updates since it seems like the creative and financial autonomy the Kickstarter funds have given them has gone a long way towards ironing out the kinks in their development process; the game seems to be coming together nicely, and while I’m not expecting it to deliver the moon or anything I have some faith that a) it’ll at least come out at some point this year and b) it’ll be the first game in nearly two decades to build on some of the good ideas Darklands had. Darklands is something that’s been referenced fairly often whenever Obsidian talk about design, which can only be a good thing. 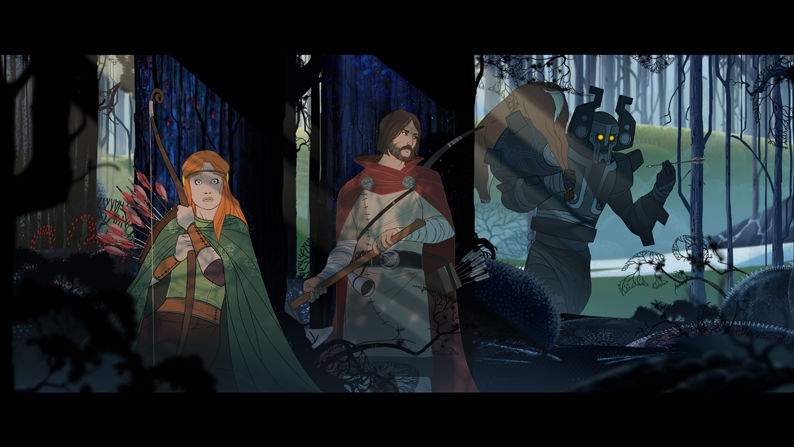 The Banner Saga was on last year’s list, but Stoic got caught up in the huge sideshow that was the Factions multiplayer offshoot and so the Banner Saga proper still hasn’t been released. It does have a release date of mid-January and the rotoscoped/hand-drawn graphics still have my attention, but I’m toning down my expectations of what the final product is going to be like; it’s smelling suspiciously like another project management failure leading to a game that at best doesn’t live up to its full potential. Clockwork Empires was similarly on last years list, but Gaslamp never said it would be out in 2013 and have in fact been admirably up front about their development process; their excellent devblog features some amazing bugs. Not only is managing a steampunk colony beset by eldritch horrors an excellent concept for a game but Gaslamp are both genuinely funny and bloody talented as demonstrated by Dungeons of Dredmor and its many expansion packs. While it won’t be perfect by any means I wouldn’t bet against Clockwork Empires repeating that success. I played Elemental: Fallen Enchantress: Legendary Heroes over the Christmas break, and a short summary of my review would be that it isn’t very good. At all. Fortunately Age of Wonders III is looming large on the horizon now that Triumph have finally decided to stop making Overlord games, and since one of my fondest gaming memories is turning the world into a blasted, undead-infested wasteland in Shadow Magic I’m hoping that Age of Wonders will succeed where Elemental failed three times over. More Blizzard games. You’d think after Heart of the Swarm my trust in them would be a little bit dented, but the two most interesting titles they’re making don’t have any story and so the scope Blizzard has for screwing them up is much reduced. Hearthstone I’ll be talking about in detail a little later on this month, while Heroes of the Storm is a fascinating attempt to bring MOBAs (read: Dota-alikes) to the mainstream by making matches shorter and the game more accessible. The CGI trailer for it remains one of the dumbest things I’ve ever seen1 but the approach is classic Blizzard: do what everyone else is doing, except with the production values and streamlining that makes their games so appealing. It should be free to play, too, and I’ll be very interested to see how it turns out. Big name games that I’m less enthusiastic about but will end up buying anyway because when all is said and done I am a gigantic mug: Titanfall, Thief, Witcher 3, Watch_Dogs. If nothing else I get some hostile reviews out of them — especially from Thief, which already looks distinctly not-Thief. And hey, something’s got to go in that Best Worst Game of 2014 spot. I wish now I had backed Pillars of Eternity–at the time I was beyond leery of all of these Kickstarter campaigns–but at least I’m not tempted to find out a lot of information in advance. I’m confident that Obsidian will deliver, and I’m looking forward to seeing if they can top Neverwinter Nights 2, still my standard for that style of RPG. I’d be curious to hear your review of Fallen Enchantress. It never quite clicked with me, and honestly I think the bland setting hurts it more than any mechanical problems. Agreed. I bounced off Fallen Enchantress LE a few times, but keep going back to it because people keep telling me it’s great. I’ve never really got into the 4X genre although I like the idea of them, and keep hoping I’ll find one that pulls me in. I have some hopes for Endless Legends, and since you brought it up, I think I might try Age of Wonders I got in a Gog sale a while back. I bought it because the buzz was that it was finally “okay”. Which isn’t a resounding vote of confidence, but I thought it might at least be interesting. I was sadly mistaken. Age of Wonders might not have aged particularly well, however I do think Shadow Magic is still a great experience if you turn off the underground/shadow realms. I’m less excited for Endless Legends after the developer failed to capitalise on the early promise shown by Endless Space, but will probably buy it anyway as long as they continue to employ the person who writes the building/tech blurbs. 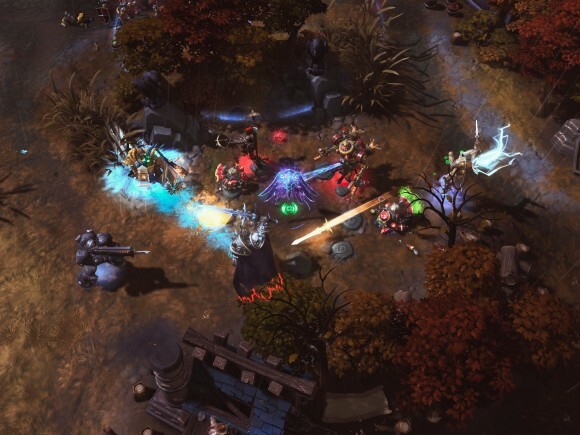 It’s not often that a strategy game shoots for “humorous” and actually succeeds. The review should be coming along soon. Possibly sooner, if I decide to commit to two blog updates per week. Oh, and Project Eternity is the one Kickstarter I feel unambigously good about backing since the semi-frequent updates have been worth the price alone. Your policy of staying clear was probably the right one given that I backed eight or nine nearly 18-24 months ago now, and only one and a half of them have delivered. I’ve wandered into Fallen Enchantress a little and while I think there’s definitely something to it, it’s just not gripping enough. I like a lot of the ideas and concepts, but I think that the mechanics and style they’ve specifically chosen to go with just don’t hold up or drag you in. As Hentzau said, it’s very bland and its itch is scratched more convincingly with Eador and Warlorck. I actually like the mechanics, it’s just that the factions, the lore, etc. is so cliched and sterile that I can’t really invest in it. I don’t care about the fate of my off-brand Orcs in the same way I care about my Trilarians in Master of Orion 2. Endless Space had a similar problem, but it’s much worse in FE due to the sheer amount of stupid, cliched crap they’ve got floating around everywhere and pretending as if it isn’t the same old High Fantasy stereotypes we’ve seen a thousand times before. A lot of fantasy stories seem to borrow liberally from Tolkein without really understanding what he was about, and so miss a lot of the depth. Tolkein was trying to write a modern (technophobic) Anglo-Saxon epic, and the world comes from his research as a professor. When you appropriate that without understanding where it came from, it’s a bit like a child putting on their parents’ clothes and pretending to be them. Stuff like Game of Thrones works because it uses some fantasy tropes but it has a subtext of its own, and reflects medieval life in a way that few other works do. It’s a bit like how steampunk without Moorcock’s social commentary; there’s a wealth of stuff to unpack from a universe based on Victorian Europe, from vast social inequality to colonialism to rising nationalism that triggers a war that kills a continent, and stuff that doesn’t really go there is poorer for it. Equally, modern shooters that don’t understand the world we live in come across as shallow or xenophobic. I’m vaguely optimistic about Titanfall. It’s not set in the real world, so any jingoism will be at least fictional, and the mechs vs parkour angle looks like it could be interesting. I still have time for good FPSs, and I loved stuff like Bulletstorm.